This evening I decided to make a Speedy Shrimp Stir Fry with Broccoli that only took me about 15 minutes to put together. 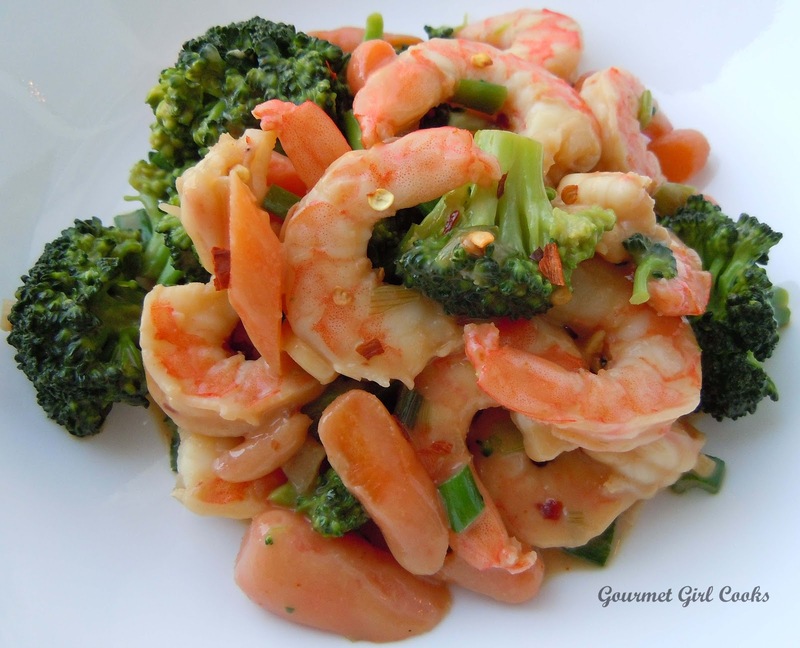 Last night I took about 1 pound of frozen cooked shrimp out of the freezer and thawed it in the fridge overnight to use for dinner tonight (I buy it in 2-pound bags from Costco and it is delicious). 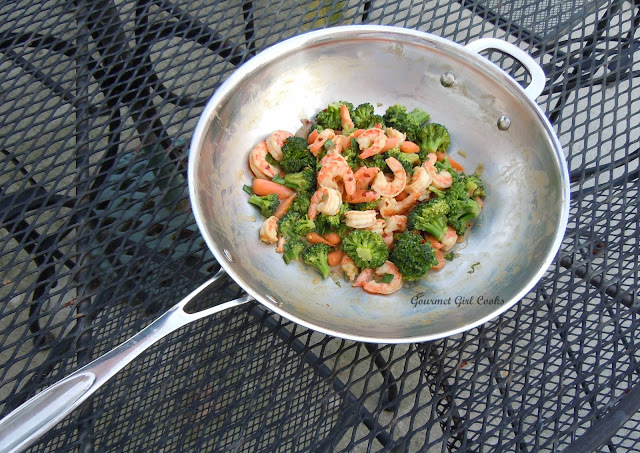 Since the shrimp is already cooked and just needs to be heated...it is more of a "faux fry" than a "stir fry" -- but since I am stirring the shrimp around in a wok to heat...I am going to call it a "Speedy Shrimp Stir Fry" since it is technically a Chinese dish. I steamed fresh broccoli florets and sliced carrots in a covered glass bowl in the microwave for about 3 to 4 minutes. I heated about 1 tablespoon of coconut oil in my wok, then added 1 minced clove of garlic and the sliced bottom halves of about 3 green spring onions (I reserved the sliced top green parts to add at the end). I sprinkled in a pinch of red pepper flakes and then poured about 3/4 cup of chicken stock into the wok with the garlic and onions. 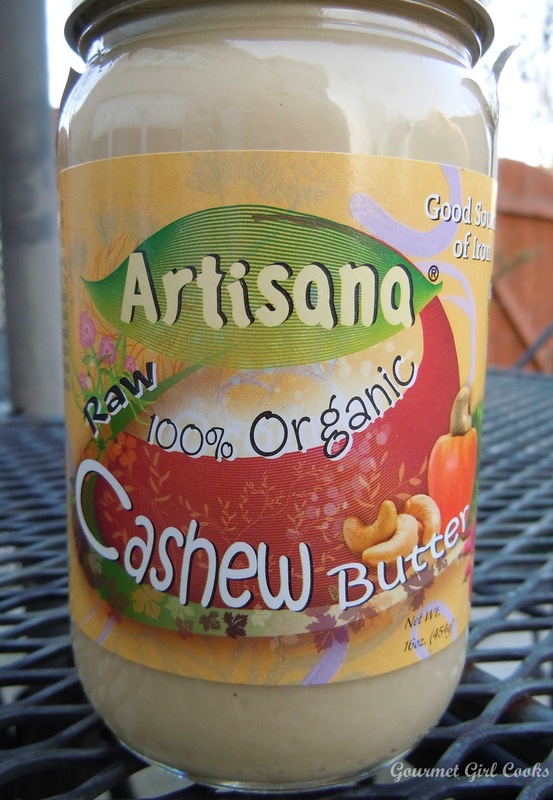 Once it was simmering, I added 1 to 2 tablespoons of raw cashew butter by Artisana to use as my thickener. I purposely chose raw cashew butter as opposed to roasted peanut butter or almond butter because it does not have a strong taste at all and is very light colored (and gives much the same results and look that I would normally get from cornstarch that I used to use to thicken my stir-fry sauces). I whisked the cashew butter in well and it instantly thickened the broth mixture. I had extra chicken stock set aside to thin the sauce further, if necessary, but it was a perfect consistency with my first attempt. 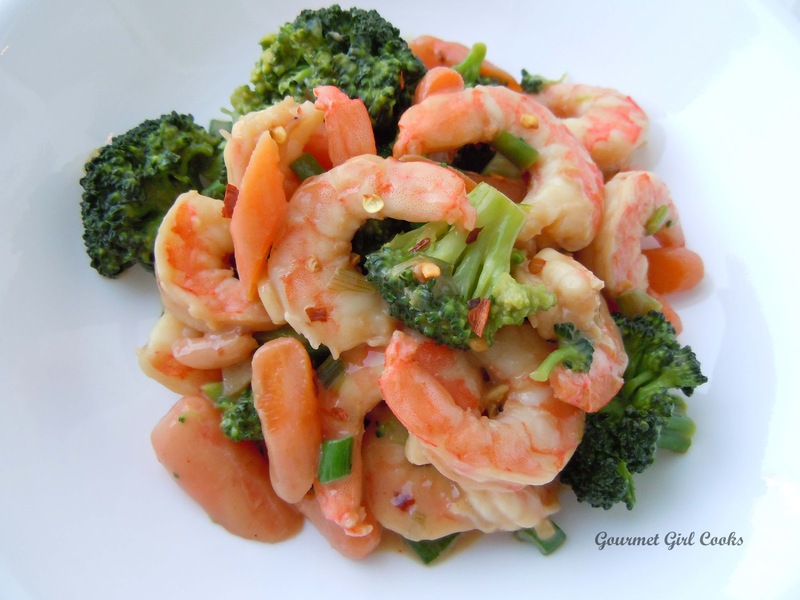 Once the sauce was the thickness I wanted, I added a couple tablespoons of low sodium Tamari sauce and then added the thawed shrimp that I had rinsed, drained and patted dry. I heated the shrimp in the sauce and added additional red pepper flakes, a dash of cayenne pepper and tasted it again for seasoning. Once it was seasoned to my taste, I added the drained steamed broccoli and carrots to the wok and tossed everything to coat evenly with the sauce. This was absolutely delicious and definitely worth the investment I made in purchasing the raw cashew butter. I plan to keep it on hand for use as a thickener. It worked better than I anticipated. Although it was a bit pricey, I found it online at iHerb for about $15.00, which is a few dollars cheaper than I have paid for it in the past from Amazon. You could also make your own cashew butter much cheaper, too, if you wanted to. 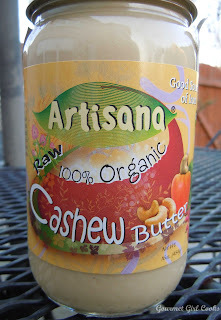 This raw unsalted cashew butter worked like a dream and gave me the consistency I wanted without altering the taste at all. Think of it as sort of "cornstarch paste/butter". 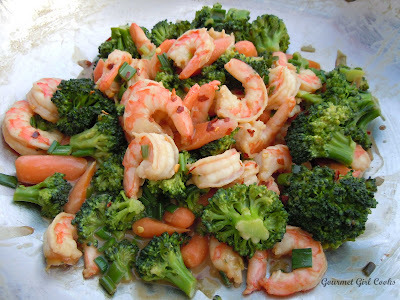 Hubby enjoyed his Speedy Shrimp w/ Broccoli over brown rice and I enjoyed mine without any rice. I snapped a couple photos below for you to see. Enjoy! Awesome as a thickener for sauces, etc. Looks yummy, I'll add it to my list! How would you go about making your own cashew butter, by just grinding the nuts in a food processor? I'll give it a try. I made that bread too, but haven't made it again because of the expense & there are similar recipes w/less costly ingredients. Have a Happy Easter! This looks wonderful! The cashew butter tip is a gem! I used to make raw cashew milk in the blender and found it to be very mild flavored and yummy. And not at all gritty, like when I tried making homemade almond milk. The cashew butter would no doubt be made similarly, but minus the water. I'll have to try this ... and maybe make some of that milk again, too. :-) Easter blessings to you and yours. I followed your recipe exactly, and it turned out great. My wife absolutely loved it. Thank you!